"It looks like we need one more rally to complete wave 1. 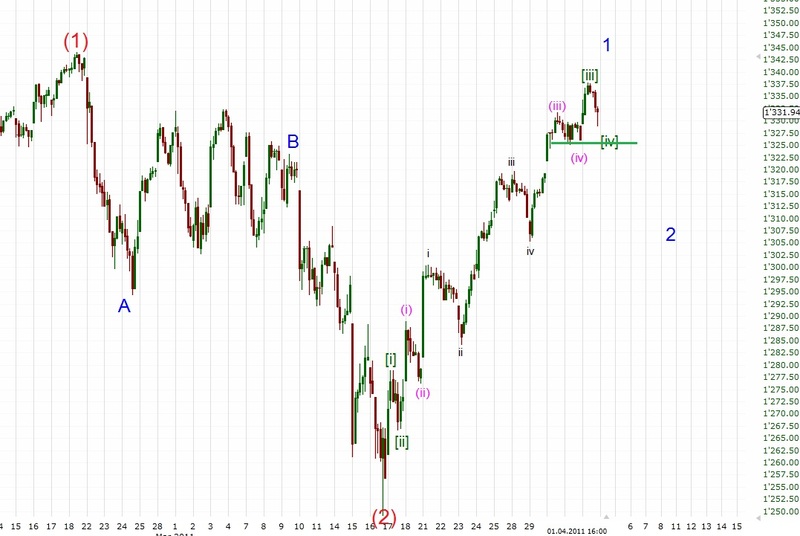 After that a wave 2 should follow down into the 1300 area. " 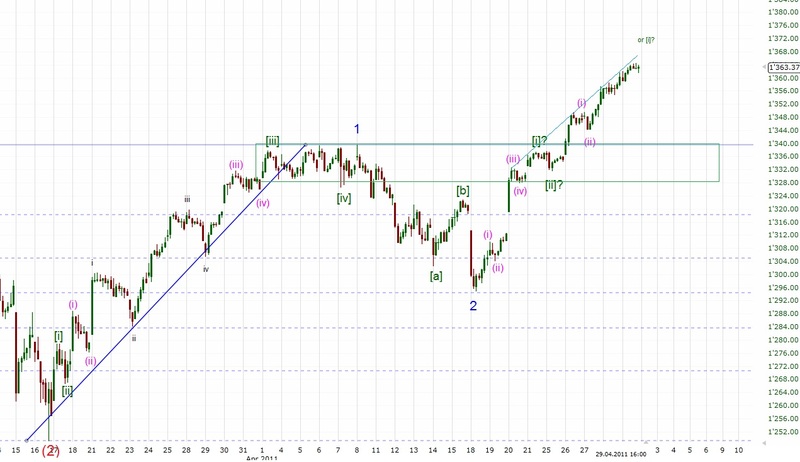 Wave 1 peaked at 1339 early April and wave 2 unfolded in a simple zigzag and ended at 1295 mid month. 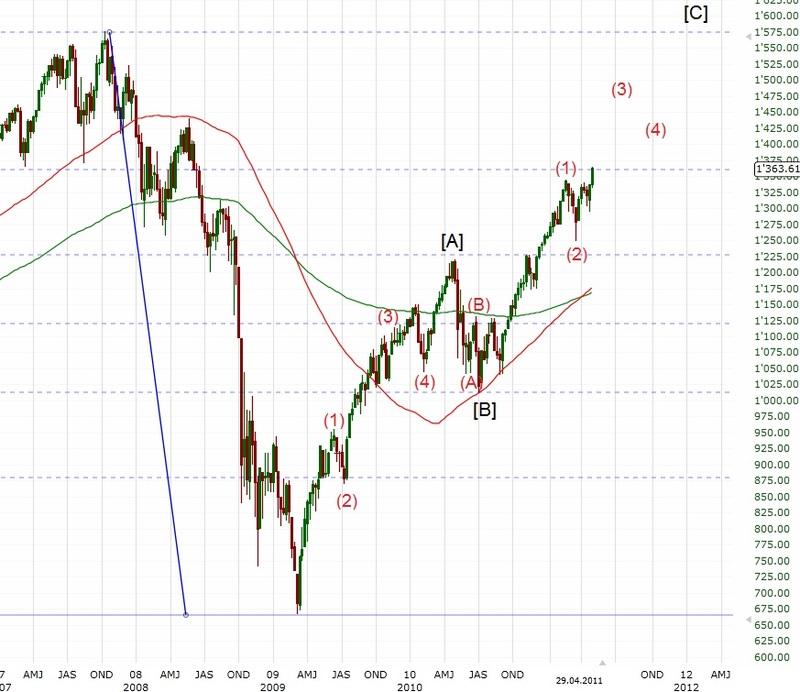 Since then we've seen a huge rally and the SPX finished the month at 1364 (up about 3 %). I generally expect more of the same as in late April and wouldn't be surprised to see a 14xx at the end of May. Last year the SPX topped in mid January, corrected into early February, formed an inverse H&S and then rallied for two and a half months till April. 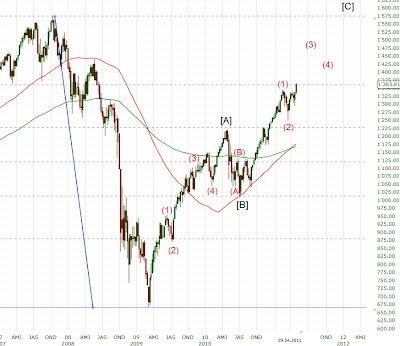 This year the SPX topped in mid February, corrected into mid March, formed an inverse H&S and has rallied since then. 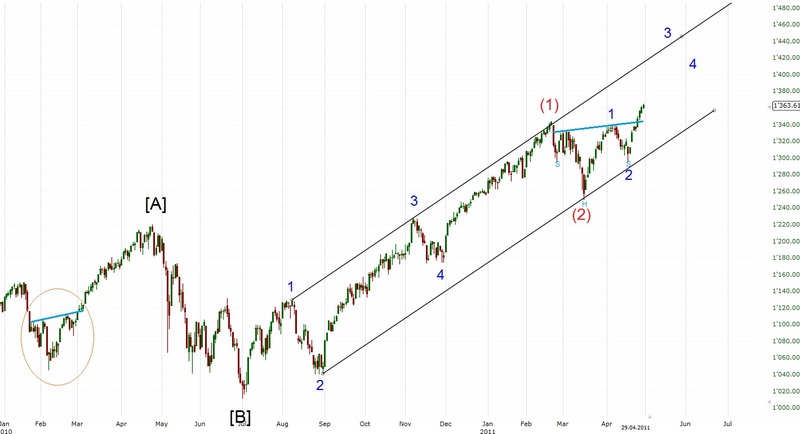 If this rally also lasts two and half months we should see some sort of a top (wave (3)?) in June. Last year the SPX topped when QE1 ended (April 2010). QE2 ends in June 2011 so I think you can see the similarities here. 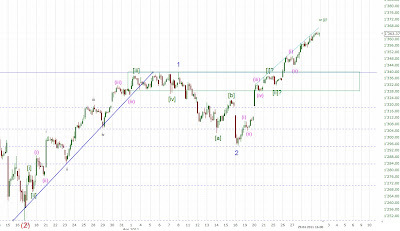 As posted a few times already my target for wave 3 is around 1430ish which should be followed by a sideways wave 4 and a fifth wave up to around 1470ish to complete wave (3). Short term I'm not sure whether this is still a part of wave [i] of 3 or already [iii] of 3. 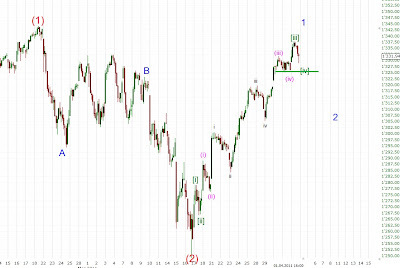 Whichever count is underway though the 1330 area should hold. If we get a convincing break of this level then I'm probably wrong. To sum up, as long as 1330ish holds I expect to see new rally highs in May most likely even a rally to above 1400.